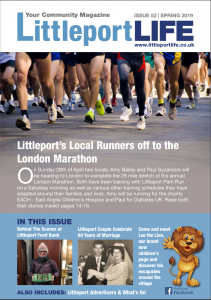 Cathy Gibb-de Swarte takes a look at some pet grooming services that advertise in Littleport Life! “My dog isn’t the easiest of dogs to groom and cut. In fact, she must be one of the worst to do as she is very nervous and frightened, but Beth has done a brilliant job today for Tilly’s very first haircut. She is so patient with Tilly and has made her look beautiful,” said one satisfied customer of Beth Broker at the Nails to Tails grooming parlour, one of the pet grooming salons that advertise in Littleport Life. 21 year old groomer Beth has had many such compliments since opening last October in the Jurassic Bark pet shop’s premises on the Saxon Business Park. “We do ‘puppy grooms’ which means first just getting them into the bath, and then drying them off. After all, they are going to be groomed for the rest of their lives, so they have to get used to it,” said Beth, who after leaving college started working at kennels. She progressed to becoming a groomer in Sutton before branching out herself where she ran her own a mobile grooming business last January before finding in-house premises in Jurassic Bark. Beth’s ambition is to eventually employ another groomer so she can expand her business, but for the time being she is quite content with the good feedback she gets from her clients. Here you will find Victoria Harwin, originally a dog walker for 7 years, before being trained by the doyen of her trade, Elaine Power, who has 47 years’ experience to her name. Elaine’s ‘retirement’ has seen her students popping up everywhere happily running their own grooming businesses just like Nastasha Chambers of Northfen Grooming fame. There is so much to learn, not only about all the different breeds, their welfare, diseases and disorders, but what you can or can’t do when grooming a dog. “We take on the difficult dogs that no other groomers want to take on,” joked Elaine, who is also an expert in cat grooming and dismisses the myth that all moggies loathe water. “The majority of the cats that come here do like water, but I also use a calming spray, or a small muzzle or a happy hoodie,” said Elaine who opened up her conservatory at home in Queen Adelaide as a grooming salon, where both Vicky and Elaine now work. 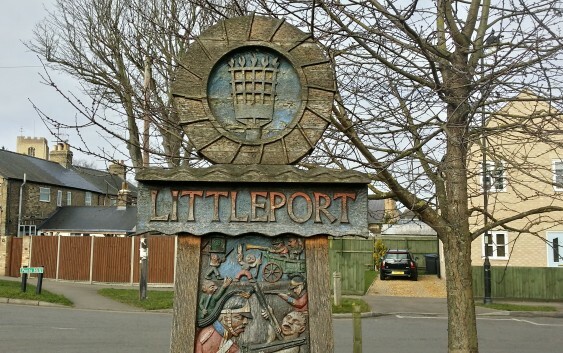 “We are usually booked 3 weeks in advance but we like to work on a more relaxed one to one basis rather than on a busy conveyer belt basis,” Vicky told Littleport Life, whose customers come from as far afield as Newmarket and Chatteris. “All the groomers in the area get on very well, and we tend to have meetings every Christmas time which enables the local groomers to get together, so we can see each for a sociable catch up, and share information and experiences. “Let’s face it we are all in the same industry, and it is important to get on with one another,” concluded Vicky. And for local qualified expert groomers like Elaine Power, Beth Broker, Victoria Harwin, Helen Dino of Riverview Mobile Grooming, Fran Parkes, Natasha Chambers and Cheryl’s Clip & Cut, the dog and cat owners who want their pets groomed expertly in and near Littleport, really are spoilt for choice.